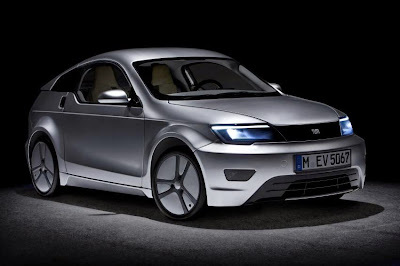 An attractive electric vehicle at an affordable price that provides safety and comfort combined with a reasonable driving range: that was the goal of the Visio.M project. The participating researchers at the Technische Universitaet Muenchen who put together the car in collaboration with specialists from industry are now unveiling it to the public. More and more people are considering the purchase of an electric car. Whenever possible, it should run on renewably generated electricity. They want to conserve fossil resources and make a contribution to the environment – while playing the role of pioneers in an unstoppable trend over the next few years. 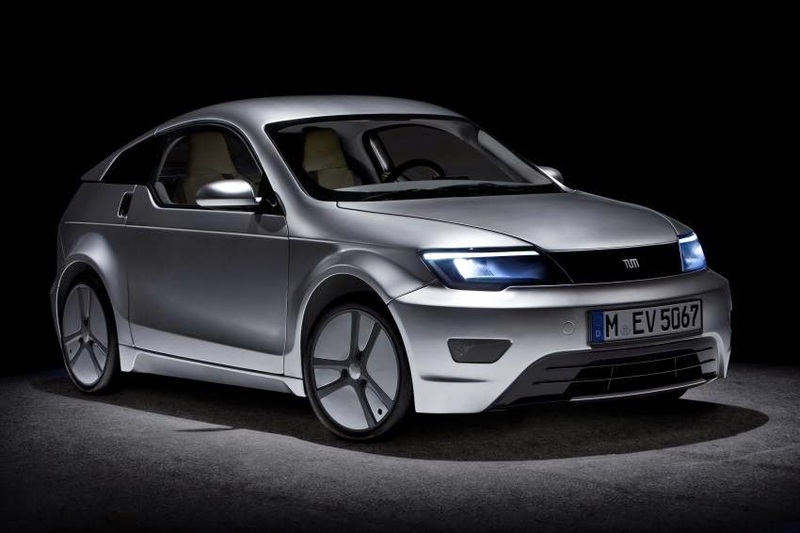 In the Visio.M collaborative project researchers at TU München, together with experts from industry have been exploring what an all-round, sporty, low-price and safe electric car might look like. The result of the undertaking, which has been funded by the German Federal Ministry of Education and Research for two and a half years to the tune of 7.1 million euro is a very small vehicle that sets new standards regarding efficiency and safety. The researchers will unveil their car to the public at the eCarTec from 21st to 23rd October 2014. The Visio.M has a driving range of around 160 kilometers and space for two people and luggage. With only 15 kilowatts of engine power, the car can achieve a top speed of 120 km/h (75 mph). Its design is sporty and self-confident. The features fulfill all significant requirements of a normal car, from infotainment and navigation assistance to climatization. The electric motor draws its energy form a 13.5 kWh lithium-ion battery comprising consumer cells and is mounted behind the seats. The battery weighs almost 85 kg and can be charged from a 230 V socket in only three to four hours. The total cost of ownership, including initial investment and operating costs, will be lower than that of a comparable combustion engine car. Decisive for the great energy efficiency of the Visio.M is its light weight. The passenger compartment is made of carbon fiber reinforced plastic with aluminum in the front and rear sections, as well as the roof frame. All windows are made of polycarbonate. This material weighs only half as much as glass but, thanks to a special coating, is equally resistant to scratches and weathering. The researchers also saved weight in chassis, steering and transmission by using special light-weight constructions. Without the battery, the Visio.M weighs only 450 kilograms. "Light weight is essential for an electric vehicle," says Prof. Markus Lienkamp, Chair of the TUM Institute of Automotive Technology, "because more weight requires more battery performance for the same range and thus generates higher costs. More weight also means poorer driving dynamics at the same performance. But we want a car that is affordable and fun to drive." An all-round, mass market car must guarantee effective passenger safety. Especially in collisions with heavier vehicles, small cars must provide a safety zone in spite of their small dimensions. The passenger compartment of the Visio.M consists of an innovative, multi-section monocoque made of carbon fiber reinforced plastic combined with ultra light sandwich materials imparting it with exceptional rigidity. In addition, the engineers have developed a safety concept that includes a systematic anticipatory analysis of the surrounding traffic. The 360° monitoring of the immediate vehicle vicinity via radar and camera sensors makes it possible to detect critical driving situations early on. This information is not used for driver assistance or warnings. When the car detects an imminent unavoidable collision it activates the integrated passenger protection systems just before the actual crash takes place. Novel structural airbags are mounted in the bumpers and doors. Fractions of a second before a crash a gas generator fills these pressure tubes, which then act as additional absorption elements. Adaptive seat-belt tensioners and force limiting systems reduce the forces acting on the passengers. A two-point belt combines with the normal safety belt holds the passengers firmly in their seats. When the system detects an imminent side collision, the passenger on the crash side is pulled toward the inside of the vehicle together with the seat just before the collision, thereby moving away from the immediate danger zone. The pre-acceleration of the passenger reduces the crash forces acting on the passenger and increases the effectivity of the side airbag. A potential collision between the driver and passenger is prevented by an interaction airbag mounted between the seats. In contrast to conventional cars in which the heel of the driver is defined as a fixed point for the adjustment functions, in the Visio.M the driver's eyes serve as a fixed point. This allowed the researchers to position the safety systems and the traffic perspective optimally. The driver's seat must only be adjusted vertically. In exchange the pedals are adjustable. Control elements for the radio, air conditioning and navigation assistance are accessible via a central touch display, which is also adjustable. The human-machine interaction consists solely of swiping gestures that can be made on the entire display. The driver does not need to hit any buttons and a quick glance is sufficient for visual orientation. At the core of the system is an open software architecture that can be extended at any time with additional elements. This opens the door to things like accessing home music collections via cloud applications or performing compute-intensive applications like energy-efficient route planning based on current weather and traffic conditions from a central server. All kinds of premium services can be implemented in this way. In the future, for example, a rental car might be delivered to a customer's door via remote control. This concept has already been implemented experimentally. Many aspects must be brought together before the vehicle can achieve a large driving range in spite of its relatively small battery. These include light weight, low aerodynamic drag, an efficient drive train, minimal rolling friction and energy-saving air conditioning. The researchers have optimized these parameters in the context of the Visio.M project. Thus the 1.55 m wide and 1.31 m high two-seater now has excellent aerodynamics. In addition to low vehicle weight, the combination of low coefficient of drag of only 0.24, small frontal area of 1.69 square meters and tires optimized for low rolling resistance (115/70 R 16) further reduce the energy consumption. The active "torque vectoring" differential also contributes to overall efficiency: A small electric machine in the gearbox that can be operated as an electric motor or as an electric generator distributes the force optimally between the two back wheels. Because of the improved stability while braking in curves, significantly more energy can be recovered than without torque vectoring. At the same time the car becomes much more agile and safe, because of the optimal distribution of drive ad braking forces. Special attention was paid in the Visio.M to the design of the air-conditioning and heating systems. Wherever warmth is generated, it is recovered for heating the car when required. So-called Peltier elements are integrated into both the cooling aggregate and seats. These electrothermal converters can heat as well as cool. This allows environmentally friendly operation without the use of coolant fluids. During very cold weather an ethanol-based heater can be switched on for driving range independent heating. The aggregate with a thermal performance of approx. 4.5 kW is especially useful for deicing the windscreen. An intelligent controller finds the optimal solution for energy efficient and comfortable operation of the air-conditioning system. During the development of the Visio.M, the various systems were subject to numerous trials to test their functionality, safety and reliability. The result is an electric car that should find great interest, especially in industry. Prof. Markus Lienkamp is optimistic: "With the Visio.M we have demonstrated that it is possible to build a very light and at the same time safe car with overall costs that we expect to be lower than those of comparable combustion-engine cars. But it is still a long way to serial production because almost all components must be adapted to the manufacturing conditions of large series."